I AM A PATRIOT. You see me every day. I am a part of your every day life. I am a member of a proud army of Americans. 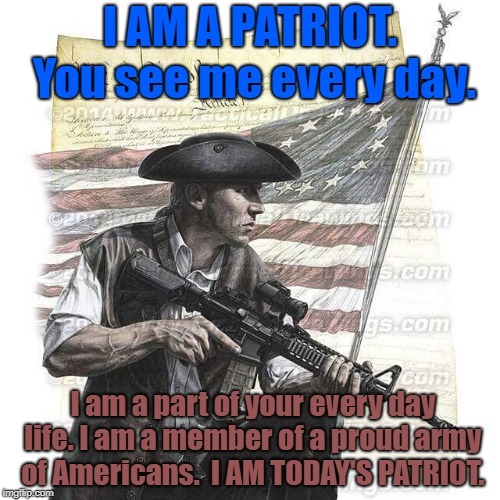 I AM TODAY'S PATRIOT.